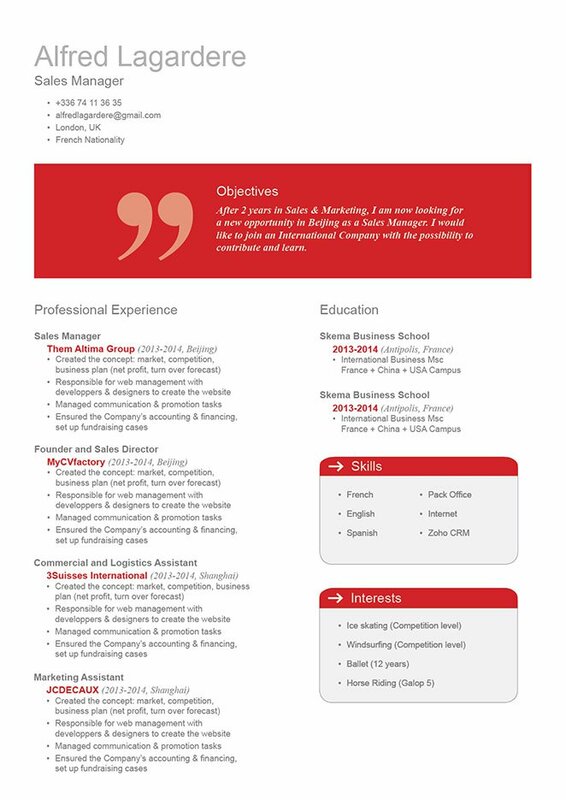 The CV is well-structured and the reader can immediately identify key information! CV template to download "Considerate"
The Considerate resume may just be your ticket to that dream you've always wanted!—It features a selection of colors, shapes and texts that can create a well-structured design that can emphasize key information in the resume. Your potential employer won't have any problems reading this resume because of its clean and modern design, which also has the added function of being applicable to any job type out there! How to make a resume that is effective?—Wonder no more because below are some tips in writing an excellent resume that will surely get you that dream job! A major aspect in a resume that makes it good is how well the lay-out and overall formation of it is structured. First, make your fonts appealing to the eye by using styles such as Seriff or San Seriff—these two fonts are perfect for writing resume since they look more professional. Your font size should be between 11-12. 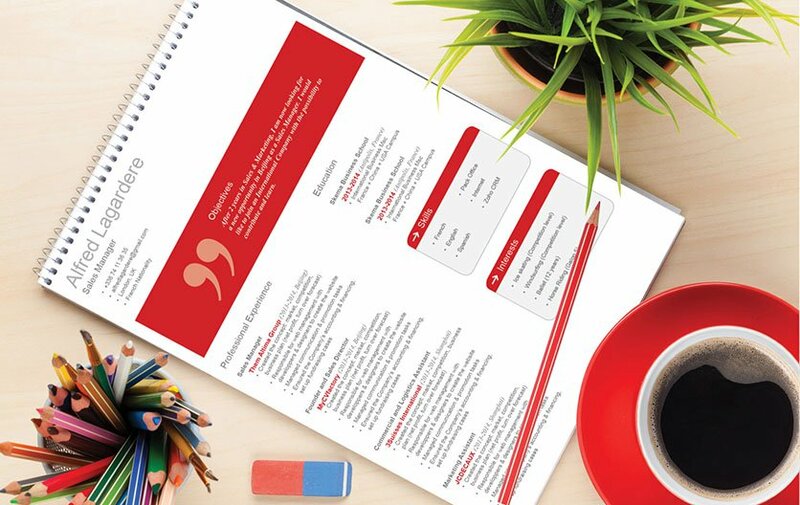 Use italics and bold to guide the reader's eyes to the key segments of your resume. Make each section of your resume short, but substantial. Simplify complex parts by making them into bit-sized sections that are no more than 5 lines long.